The Karnataka By-poll results are declared and the Congress-JDS alliance have won big by winning 4 out of 5 seats and BJP had to content with only 1. The mandate is being seen as a semi-final for the upcoming Lok Sabha election in 2019 and the Karnataka has 28 Lok Sabha seats, out of which 17 were won by the BJP. The Congress-JDS alliance won in Bellary, Mandya, Ramanagaramb and Jamkhandi, whereas BJP has won only one seat Shimoga Lok Sabha seat. 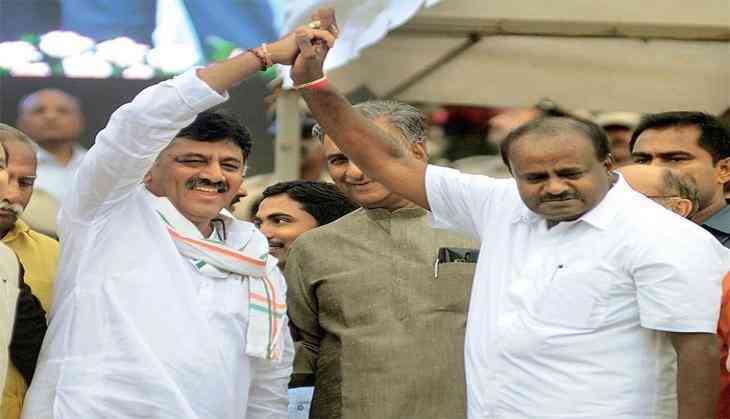 Karnataka Chief Minister H D Kumaraswamy has congratulated the leaders of the Congress and JDS and has warned the BJP for the upcoming 2019 polls, where former will be playing a significant role as the alliance partner.